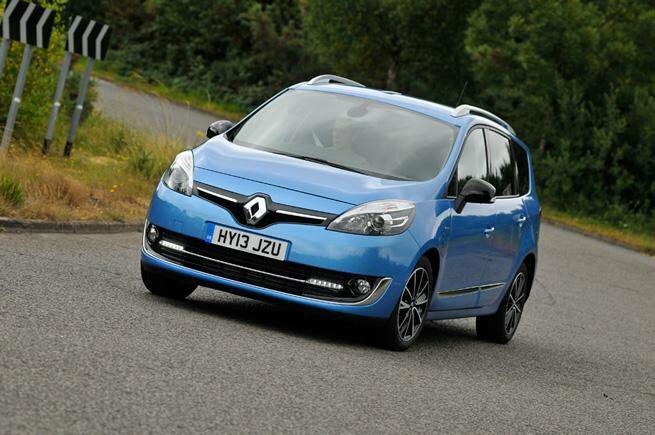 Deal of the day: Renault Grand Scenic | What Car? The Renault Grand Scenic recently knocked the Toyota Prius+ from its spot atop our list of most economical seven-seaters, recording an impressive 56.1mpg in real-world conditions. While not class-leading in certain aspects of ownership, the Grand Scenic is a healthy competitor to others in its class and continues to sell well against the Citroen Grand C4 Picasso, Ford S-Max and Vauxhall Zafira Tourer. The £8345 saving we found brings the seven-seat Grand Scenic down to the same price as a similarly-equipped Renault Clio, with those low running costs sweetening the deal. The Grand Scenic comes well-equipped even at the lower end of the range, so this higher-spec example is generously kitted with sat-nav, cruise control, automatic wipers and lights and more. Renault’s four-year warranty, servicing and roadside assistance are not to be sniffed at either. Across the range, the 1.6-litre diesel found in this model is the pick of the bunch. Capable of that title-grabbing economy figure and pulling the Grand Scenic with more vigour than the other engines offered across the range, the 128bhp on tap doesn’t leave it feeling underpowered. The Grand Scenic also offers enough space for five adults in the second and third rows of seats, although don’t expect much room to be left over for luggage. The rearmost row of seats folds flat for easy loading, although the same can’t be said for the second row, which only fold forward. The interior of the Renault has less of a quality feel than rivals; despite the attractive cabin, there’s definite room for improvement in a few areas. The lack of versatility in the middle row of seats is also a bit of an oversight on Renault’s part. The digital instrument cluster is also fiddly and far from intuitive, attempting too many things but executing none of them particularly well. As mentioned, kit is generous on the Grand Scenic, although poor rear visibility means the Safety Pack with front and rear sensors and electric, heated, folding mirrors is more a necessity than a handy extra. You’ll find the deal at drivethedeal.com, just select Renault, then ‘Grand Scenic estate’, and go to the 1.6 dCi Dynamique Nav spec.